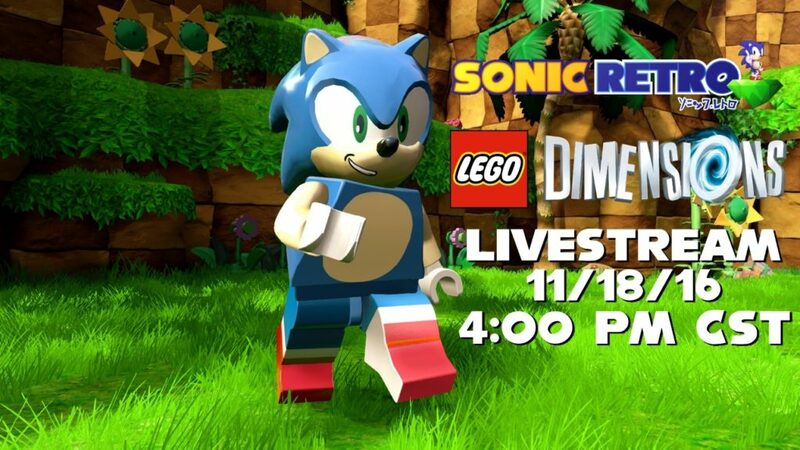 Neo Hazard takes over the livestream with the Sonic Level pack for LEGO Dimensions. Featuring Bartman3010, InstantSonic and Kat. Check out Neo Hazard’s personal YouTube channel, Neo Reviews! This week has some pretty big releases on the way. Sandwiched in between the Pokémons and Watch_Dogs comes the release of the Sonic the Hedgehog LEGO Dimensions level pack. We’ll be hosting a livestream on Friday, 11/18/16, at 4:00PM CST (UTC -6) of the Sonic level pack, as well as playing through some of the base levels and worlds with Sonic himself! The initial broadcast will be on Neo Reviews, with the replay going live over on SEGA Channel Retro. We’ll see you all then! While the biggest announcements of today’s event were by far Sonic Mania and Project Sonic 2017, the impressive gameplay trailer of Sonic in LEGO Dimensions shouldn’t be ignored. The trailer shows Sonic running through Green Hill Zone yet again, but also has him going through environments from other franchises including Back to the Future and Doctor Who. The trailer also shows some concept art for Sonic’s world, showing that the familiar Green Hills won’t be the only environment represented in LEGO form. The level set will also come with a couple of vehicles: Sonic’s car from the All-Star Racing games and the Tornado. It will be released this fall and will be useable with every version of LEGO Dimensions. There have rumors about his inclusion for some time now, but it’s finally confirmed: Sonic is joining Lego Dimensions. Warner Bros Games announced that a whole bunch of franchises are joining the game, which will feature Gremlins, Mission Impossible, Batman, Sonic and other franchises crossing over with eachother. If they were trying to knock Super Smash Bros off the “most ridiculous cross-over video game” throne, they’ve succeeded. 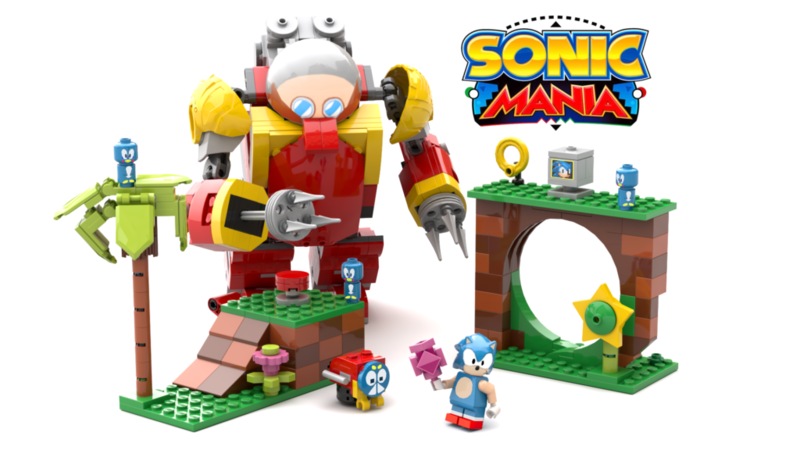 Not much is known about Sonic’s inclusion right now, but at the very least we should be getting a Lego figurine of Sonic the Hedgehog that can be used with the game. Also there’s been a world in Lego Dimensions for every franchise that’s been a part of it so far, so we’ll probably be seeing a Lego-fied version of Sonic’s world as well. This isn’t the first time Traveller’s Tales has worked with the Sonic franchise, they also worked with Sonic Team back in the Saturn days to make Sonic 3D: Flickies’ Island and Sonic R. We don’t know if Richard Jacques will be composing the music again though.